When it comes to marketing in 2019, simply using traditional methods is no longer going to cut it. In a constantly changing digital and competitive landscape, businesses all around the world are turning to marketing agencies to help build and grow their brands. Using an agency to develop your ecommerce marketing strategy can give you a leg up on your competition because you gain access to the newest techniques, tools, and resources. More and more businesses are turning to outside help as they grow. In the US alone, brands spent more than $162.9 billion on marketing services in 2018. For agencies in particular, they’re seeing the pendulum swing. By 2022, agency revenue in the United States is predicted to rise to over $50 billion. There’s a whole lot of money to be made as an agency. But why are agencies so profitable? What value does adding an agency bring to your business? We surveyed over 30 of the best marketing agencies worldwide and got a lay of the land. This is why you should work with an agency, and this is how you should pick one. These are the agencies used by merchants all over the world to help build and grow their businesses. After reading this article, you’ll have a comprehensive understanding of what benefits come with using a marketing agency versus in-house offerings. You’ll also know what to ask when down-selecting an agency to work with, and what things you should consider prior to taking the plunge into an agency relationship. Thinking about hiring an agency? Your discovery starts here. We’ve created a list of these best-in-class agencies. Marketing is increasingly becoming more and more important to business success. That said, many professionals tread lightly when it comes to outsourcing — and for good reason. Passing the baton of your brand, your processes, and your voice is a big deal — and shouldn’t be taken lightly. Is a marketing agency right for you? How do you know if a marketing agency will add value in your current stage of growth? Here’s how companies benefit from stepping out and bringing a marketing agency aboard. 1. Your marketing can truly be nimble. Working with an agency allows you to have subject matter experts at your disposal, without the cost of hiring them all in-house. Shifting tides in technologies, languages, and platforms can leave you empty handed. Dan Kogan, CEO at 1Digital Agency, puts it simply. With in-house team members, a change in strategy, whether it be a new technology or an emphasis on a certain channel, will cause you to have to hire team members with those skill sets. This reprioritization can be messy, tough, and time-wasting. Employing an agency not only allows you to quickly shift gears, it also frees up budget constraints and enables you to put your funds where you see the largest amount of growth. 2. Gain access to premium products and technologies. World-class marketing agencies have access to the latest tools and technologies, and often have first access to new products. “When you’re ready to grow, you can scale up your marketing efforts with an agency, as opposed to growing and training your in-house team with the hope that they can deliver results,” says Ailsa Chibnall, CEO, Border7. Implementation and training for new products is often seen as a pain point for growing businesses. After all — when you’re in a resource-strapped environment, any time spent watching a training video may be better spent on something else. With a marketing agency, using a new tool is much more plug-and-play. Oftentimes agencies have team members that are experts in certain software, so they can hit the ground running when it comes to using and benefiting from a new tool. 3. Value-based work comes with value-based price. Agencies aren’t inexpensive by any means, but when you look at the price of an agency versus the price of full-time employees, the latter will be more expensive. It’s all about balance, according to Brian McGovern of iMedia Inc. In this fast-paced digital era, keeping an entire department staffed and constantly learning about the newest and best practices in digital marketing can get very expensive, very quickly. For agencies, it’s their only job. “Marketing agencies do just that, they have specialists, managers and directors to make sure the level of service is not just on par, but above your competition,” says Jared Shaner, CRO at Trellis Inc. The cost of hiring just one in-house, full-time, experienced marketing employee involves not only a salary but a host of other things including benefits, vacation pay, and a full line of tools necessary to run the department. 4. Gain insight from an outsider’s perspective. We’re all familiar with tunnel vision. John Ellet, CEO at Springbox, knows it well. When you work with an agency, you’re pulling upon the wisdom of a very large collection of work. If your agency has worked with clients in the same industry as you, they’ll have developed best practices and guidelines. 5. Agencies serve as an extension to your network. It’s easy to get siphoned off into one particular industry’s social circle. Adding an agency into the mix opens your network up and gives you more opportunities to find collaboration or build relationships. Agencies often have vested relationships with media and influencers – and can leverage those relationships to help build your brand. So, when should you turn to in-house employees? When you’re using a mix of in-house and agency talent, you can better maintain the brand and culture of your organization while also pulling from top talent. Hiring exclusively out-of-house presents an opportunity for a barren culture and potential lack of camaraderie. For general tasks that don’t require a high level of technical understanding, in-house employees might be a good choice. Ideally, it’s a mix of both in- and out-of house. Before you invest in a marketing agency, you need to get your ducks in a row. You’ll want to make sure that you have a stellar product with a production flow and timeline in place. Has it been tested thoroughly? Was there a complete competitive analysis? Do you have positive reviews and testimonials of people who have benefited from it? Do you have customer service and salespeople in place? You’ll want to ensure that your organizational structure is prepped for an increase in growth and demand. Depending on what you’ll be using the agency for, you need to have everything prepared. For example, if you’re planning on using an agency for paid advertising, make sure your website has been optimized for a high conversion rate. “Compare yourself against your competitors and consider why someone might buy from you instead of them. Is your product superior to the competitors? Does your website do a good job of conveying that message? Do you have high quality product photos, detailed descriptions, strong guarantees, and competitive pricing? Are your products organized in a way that is easy to understand? is your website easy to navigate? Hiring an agency can make or break your brand. You’re handing over a monumental portion of your workflow, product development, and marketing to an outsider. It’s important that you make the right decision. Caution and intentionality must come at the forefront; don’t be afraid to take your time, vet several agencies, and ask lots of questions. Consider these factors while you’re in your search for an ecommerce marketing agency. What is the minimum and maximum amount you’re interested in spending on an agency? Most agencies work with a large range of budgets, so it’s unlikely that you will be immediately disqualified from working with them if you have fewer funds to spend. Rather, your budget will do wonders to inform both you and the agency of how your business goals should be set. Much like a sliding scale, the amount of support and production you receive will be a direct reflection of the amount you’re willing to invest. Many different factors will impact your budget, including timelines, intended reach, custom work (such as development time or brand identity creation), and the length of the contract. 2. Culture and personal fit. It’s all about chemistry — really. As a client, you want to make sure that your voice is heard, your opinions matter, and you have a vested, lockstep partner. Your agency of choice should take the time to listen to what you’ve tried in the past, and ask questions to learn about what your business goals are. Outside of technical matchmaking, you want to make sure that the teams will get along. Often times, it’s chemistry that allows agencies to truly become an extension of your team and produce true success. Additionally, does the agency want to grow? Flip the question onto them and ask what their plans are for expansion. If they’re hungry to grow, they’re more likely to invest more internally into new, up-and-coming technologies and techniques. As both of your businesses change, ensure that you’ll have the proper support throughout it all. Think of it as your two businesses really teaming up. For Efelle Creative, the key is viewing every project as a partnership. Both US coasts are chock-full of them, which makes sense — that’s where a large portion of businesses are. In this digital age, connecting from anywhere in the world is incredibly easy, so there’s no need to place a limit on where your agency might be from. If you’re interested in in-person meetings and collaboration, check out agencies that are close to home. 4. The agency’s portfolio and track record. This simple question can inform a lot of how the agency conducts business. If you heard about them through a referral, it shows that they put a lot of time into building relationships. If they connected to you through marketing efforts, you know they know how to market. Brandon Lilly, Senior Brand Director at Madwire, suggests taking this point to heart. “One of the main things to consider – ‘does this marketing agency use the same tactics and strategies for their own business that they recommend for mine?’. A great example is the marketing agency that recommends you run a PPC campaign to generate leads, but they cold called (or cold emailed, direct mailed, etc) to get in touch with you. If your product is niche or specialized, consider working with an agency that has a proven track record in that space. Consider their portfolio of work heavily, as it reflects their way of thinking as well as their collaborations with other brands. “One should be inspired by their ability to design experiences that create maximum impact and connect with people in a deep and meaningful way. Lastly, how long has the agency been around? Ask about how they came to be, and where they anticipate more growth in the coming years. Don’t let the agency’s age be a deciding factor; rather, ask them to frame their expertise and describe how they anticipate growing over time. 5. Proof of satisfied clients. Look for an agency that has proud clients who are eager to share their experiences. This could be through testimonials or case studies, or it could also be something that’s brought up during the vetting and sales process. It’s all about results. An agency should be able to demonstrate how they’ve added value to their clients. Ask to speak to the clients, and get their perspective. Reviews of the agency should be thoroughly reviewed, but also taken with a grain of salt. “You also want to consider reputation and value. Every business will have negative reviews at some point. Some are legitimate, some are fake, and some are from competitors. Look for common themes within the GOOD reviews – do they mention particular services, names, or challenges that the agency overcame for them? How quickly do you want to start seeing results? There’s a lot to consider when you start a project: How soon are you planning to grow, and by how much? Make sure you’re available to thoroughly consider and think through all your options upfront. This will allow the project to be the most successful and efficient. Keep in mind that all good things take time. Don’t jump at an opportunity with an agency who promises you a quick fix or immediate results, warns Brandon Lilly, Senior Brand Director at Madwire. “If a marketing agency says they guarantee top organic results on Google, run. If they tear down other businesses, run. How many tasks do you anticipate giving to the agency, and how much will remain in-house? You may also consider electing a point-person within your organization to be the one who works most closely with the agency. This will result in a clearer path for communication, according to Shero Commerce. “Have a person who will be the main decision maker/point of contact who has the authority to make such decisions and knowledge of the business strategy. In other words, don’t appoint a person who is the middle man to communicate with the agency and relay the information to the CEO,” says Gentian Shero, CEO. Once you bring the agency aboard, bandwidth will shift. Make sure that previous tasks are adequately covered. 8. If you need specialization. If you’re looking to an agency for specialized work such as development, paid advertising, or affiliate marketing, beware of small-staffed agencies that claim they can do everything. Specialized areas have technologies and rules that change quickly (such as new ad platforms, new coding languages, and new affiliate networks). A small agency that peppers in those specialties will certainly execute on them well, but they won’t have the same drilled-down, expert knowledge as a larger agency or an agency that solely specializes in that area. It is, in essence, a job interview. You’ve made the decision to hire a marketing agency, and you’re down to selecting the team you want to work with. While the agency certainly will be asking you a lot of questions about your business, product, and growth goals, now’s the time to get the scoop on them, too. During your search, ask these questions to get a good scope on whether or not this agency is the right fit. Start from the beginning, according to Springbox, by asking how the agency got started. “By understanding its heritage, you will better understand its biases. Agencies started by frustrated creative directors will often value creativity over other factors. Was it started by coders? Expect an emphasis on technology. Ask about the industries they work with. This might seem like a given, but it’s incredibly important. Selling beauty products is very different than selling auto parts, so you’ll want to know if they have previous experience with merchants in your industry — or at least transferable skills. If they focus on a certain type of ecommerce marketing, such as social or paid advertising, you can determine if they’re the right fit. For agencies that specialize in certain channels, you can get more granular with questions. Here are some examples from Scott Ginsberg, Head of Content at Metric Digital. “What outside audiences are you using to inform or assist your campaigns? 3. How do you grow relationships? Allow them the chance to explain how they’ve nurtured other merchants into a partnership centered around growth. Ask them about some of their oldest clients. If all their clients are brand new, that may be a sign, says MoJo Active. 4. Where have you succeeded, and where have you failed? Lay it all out. An agency should be both proud and humble in their work. This will provide them with an opportunity to showcase their specialities and describe how they’ve fallen short and learned from it. It’s important to know if an agency is keeping up with quickly-changing technology and software such as social media marketing and paid advertising. Find out if they’re a Google Premier Partner or Facebook Pro Partner, for example. Certifications like Google Adwords are important as well. 6. Do they offer any guarantees? Tread lightly, warns Ailsa Chibnall, CEO at Border7. 7. What are your work processes like? How do they plan to help you see a return on your campaign, and how much revenue can you expect from these efforts? “A digital marketing campaign is a collaborative effort between agency and client,” explains Dan Kogan, CEO at 1Digital. “Investigate their process. Ask about how they work on marketing campaigns day to day. Make sure you know your role in the process, and try to determine if the way the agency works is a good fit for your team. Knowing what the relationship looks like after a site is launched is also important, remarks Tom Di Domenico, Managing Partner at iFuel Interactive. “A lot of companies tend to the think of the site launching as the end, but in reality the launch is the beginning. 8. How do you report on results? Whether it’s an email report, phone call, or in-person meeting, the format where results are communicated will help to inform how you grow and set expectations. 9. How do they organize projects and clients? It’s good to have clear expectations and eliminate any ambiguities prior to starting a project, says Corey Dubeau, VP of Marketing at Northern Commerce. 10. What does the agency need from you in order to accomplish the goals? Even though you’re hiring an agency, there are tasks that you need to complete in order to be successful, and those should be discussed up front. The better you understand how to work with your partner, the more likely you will have a successful outcome, says John Ellet, CEO at Springbox. Finding the right agency to hire can seem like a daunting task — and not without reason. It’s a decision that will certainly impact the future of your business. The BigCommerce partner directory is home to some of the best ecommerce marketing agencies across the globe. Start with this alphabetical list. 5874 is a full service digital agency based in Birmingham, UK with a strong focus on building, supporting and marketing modular ecommerce environments that are designed for scale. 1Digital Agency is a well-regarded Elite BigCommerce partner for design, development, and digital marketing. We specialize in eCommerce work, and BigCommerce in particular. Our reviews on the BigCommerce partner platform are consistently effusive because we bend over backward to deliver top quality eCommerce websites and then we support them in the long term by becoming our client’s development and marketing partners. Ecommerce merchants seek us out when they’ve had some experience with freelancers or going it alone and are ready for a more professional experience and more reliable results. We’re most commonly engaged to provide a completely custom frontend to a BigCommerce website which is tailored by our designers, to build a custom tool for stores that work uniquely and have unique functionality requirements, or to increase traffic and conversion through a combination of search engine optimization, PPC, and other digital marketing channels. Americaneagle.com, Elite BigCommerce Partner, is an industry leader in website design, development, hosting and digital marketing—essentially a one-stop shop offering a full range of solutions for any organization looking to succeed in their online endeavors. Winner of BigCommerce 2018 B2B Excellence Award and 2018 Design Award, Americaneagle.com had developed BigCommerce websites for Hess Toy Truck, Cleveland Cavaliers, Berlin Packaging, The Ohio State University, WrapSmart and more. With over 400 professionals, 80+ with BigCommerce certifications, Americaneagle.com is a family owned, privately held company with a long history of profitability and stability. Fortune 500 companies, professional sports teams, and manufacturers of niche products. Americaneagle.com, Inc., founded in 1978, is based in Des Plaines, Illinois, with offices throughout the country in New York, Washington, D.C., Dallas, and more. As a top ecommerce development agency, Atmosol is renowned for building sleek, mobile responsive designs with custom functionality. We boast certified developers on the leading ecommerce platform — BigCommerce. Blackbelt Commerce is a full digital service agency. We are located in NYC and in Brisbane, Australia, and we support clients worldwide. We are the top ranked agency by our clients. We take pride in our line of communications to our clients. Our team consists of eCommerce experts who have created over 500+ eCommerce stores. Blue Stout is a leading ecommerce agency that helps growing brands sell more products to current site visitors and customers by optimizing your storefront and managing your email campaigns to increase conversion rates, average order values and repeat purchases. Our worldwide clients include Inc. 500 recipients, Forbes 30 Under 30 entrepreneurs and Shark Tank success stories. Border7 is a web agency that empowers ecommerce businesses with optics on what’s been holding their website back, and a personalized strategy for growth through their unique process. They are a Goldman Sachs 10k Small Businesses alumni that is dedicated to helping small to medium sized businesses increase online revenue and see a return on investment for their web efforts. 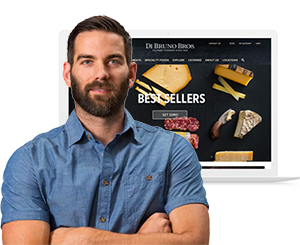 Brand Labs is a Certified, Elite BigCommerce partner that designs and builds beautiful websites that convert; provides award-winning custom development; increases qualified traffic through marketing services; and provides digital strategy for high-growth Merchants. Brand Labs was a BigCommerce “Design Award” finalist in 2018 and the international winner of the “Agency Innovation Award” in 2017. Brand Labs thinks “Business”, not just e-commerce, and offers each client a personal relationship, award-winning design, renowned development and full-service marketing that is backed by a team of experts committed to each client’s success. We are a digital agency specialised in e-commerce, working exclusively on the BigCommerce platform. We work primarily with large and enterprise clients in the UK and mainland Europe, including Ford UK, looking for an agency who can help them grow their online business. Classy Llama is an agency of a different breed. Despite our playful name, we could not be more serious about the level of integrity, excellence, and commitment we bring to our clients. Our passion is to help merchants leverage technology to sustainably grow and build their business. We serve our clients through digital commerce consulting, marketing, design, development, and support. With over 125 commerce sites and 500+ customizations and integrations under our belt, our team of commerce veterans has what it takes to create a great digital experience. At Classy Llama, our team is comfortable with the complex. We are seasoned in supporting the most basic to the most complicated integrations. Our team is also right at home in some of the more complex niche industries including automotive, firearms, outdoor, and B2B. Classy Llama also invests in, and cares about, the experience. This includes the journeys your users experience on your site and the experience you have with our full-service team that will deliver your solutions. Digitawise is a full-service eCommerce agency. We work together with our clients to understand their individual needs and elevate the value of their brands. We create uniquely designed online stores, advertising campaigns, and editorial contents that drive engagement and awareness. We are a team of overachievers, constantly pushing the boundaries for our clients. ECommerce Partners has been an eCommerce focused agency since 1998. We provide services in four areas: Strategy, Implementation, Support and Marketing. From a technology perspective, while we support multiple platforms, BigCommerce has become our most prevalent platform. In terms of Marketing Services, our focus is on Conversion Rate Optimization, Paid Search, Social Media and Email Marketing. We are a New York City based companies, with clients throughout the world. Efelle Creative offers custom designed and built websites and has been helping businesses grow since 2005. We specialize in eCommere and service sites, which gives us a variety of design and development experience. Efelle is based in Seattle, Washington which has allowed us to work with some amazing local clients such as Compendium Inc, Radar Skis, and Taylor Shellfish, while also giving us a national reach with clients like Lindsay Phillips and PetZx. We’ve won over 100 awards in the past two years, including the BigCommerce Turnkey Award, and were most recently awarded numerous W3 Design Awards. We look at each website as an opportunity to create the best, most beautiful website we’ve ever designed, developed, and optimized, and we look forward to the new business it brings for both us and our clients. At Epic, we live and breathe conversion rate optimization, and it’s baked into every decision we make when it comes to web development. Among all the things we love about being a BigCommerce Partner, access to so many built-in CRO features in the platform is at the top. We’re also lucky enough to get Beta access to lots of new BC features before they hit the streets, so our team can innovate and create new apps and features that help convert website visitors into customers. Some of our biggest clients have come to us with frustrations with other platforms, and we’ve been able to use CRO principles to increase online sales for some by as much as 380% in three short years. Eventige is a full-service marketing agency designed to accelerate your brand’s growth. Our brand strategies include actionable insights so that we can make the most educated decisions on where and how to invest for the best return. Forbes ranked Eventige a Top 100 Global Ad Agency specifically in our expertise with Google and Social Media Marketing, we have been featured as a Home Page Design Awards Winner on BigCommerce for ZuguCase.com, and have received countless Design, Development, and Expert Opinion features across the industry sector of eCommerce. Guidance has been an industry leader in digital commerce for the past 25 years. They are based in Los Angeles with a broad range of expertise in e-commerce strategy, creative/design, system integration, mobile optimization, development, analytics and testing. Guidance has a broad range of clients in B2B, fashion and apparel, health and beauty, food and beverage, automotive, baby care, outdoor, home goods, luxury goods, and sports & Equipment. In November of 2018, Guidance was recognized with 12 e-commerce excellence awards from the IMA and W3. iFuel is an independent ecommerce & advertising agency of passionate thinking, spirited ideas & relentless problem solving. We are big enough to deliver. Small enough to think on our feet. Smart enough to one-up our success. Every time. As a truly full-service agency, we provide clients with all of the services needed to launch or accelerate a brand in today’s complicated D2C landscape. Having brand strategy & research, creative, media, and development under one roof allows us to deliver cohesive brand messaging at each and every consumer touchpoint. We believe strongly in optimizing often overlooked touchpoints, such as order confirmation emails, as another vehicle to communicate a company’s personality and positioning. With a roster of ecommerce clients converting transactions globally, we are incredibly focused and well-versed in all areas of ecommerce growth and security. Our proprietary discovery process allows us to immerse ourselves in different areas, allowing us to aid in the growth of businesses in a number of verticals from beauty products to food & beverage. iMedia is a full service digital agency that designs builds & optimizes world class customer experiences for the brands it works with. From immersive, data driven content that inspires to conversion focused, channel agnostic eCommerce that performs, our solutions turn prospects into customers by bringing brands closer to their consumers. Located in NJ, 30 miles outside of NYC, with offices in TX and FL, we work with household names across the country. Jammin‘s personable and responsive team of U.S. based ecommerce marketing experts will become an extension of your own team. We take the time to get to know your business goals working in a timely manner making your online dreams a reality. Since 2011, we have helped over 600 Bigcommerce stores thrive. We have worked with store owners who have 1 product or 1000s of products. We will take your brand to the next level online and ensure when someone comes to your website, they see a user-friendly custom layout with a modern design that stands out. Finding a marketing strategy that can provide the highest rate of return on your investment is important to achieve success in your marketplace. As search engine optimization experts, we have proven repeatedly that SEO is the single best marketing strategy. It is extremely affordable and has the highest long-term ROI which makes it a very effective strategy to implement into just about any business. We specialize in SEO/SEM services nationwide and are Google AdWords Certified. Logical Position is a digital marketing agency offering paid search and shopping management, social media marketing, data feed management, search engine optimization, and web design. Headquartered in Lake Oswego, Oregon, we have additional locations in Chicago, Las Vegas, Austin, Charlotte, and Denver. We’re a Premier Google Partner, Facebook Marketing Partner, and Bing’s 2017 Partner of the Year. We were also the winner of BigCommerce’s Partner award for Marketing Excellence and Google’s Premier Partner Award for Growing Businesses Online in 2018. These awards and partnerships reflect our level of dedication to delivering industry-leading strategies and results to our clients. At Marketing 360 we have the talent and technology to help small businesses succeed. Everything you need from marketing and design, to CRM, email, payment processing, SMS, and more – all with a dedicated marketing team who does everything for you. With over 2,900 positive online reviews we’ve also been a Inc 5000 Fastest Growing Company for 6 years straight, a Top 50 Family Owned Colorado company for 5 years straight, and we were rated the country’s #1 Best Place To Work by Glassdoor. Metric Digital powers marketing for the best, most disruptive D2C brands. In the past several years, Metric has helped companies drive sustainable growth that helped fuel their acquisition, IPO, or next funding round, such as Canada Goose (IPO), Bonobos (Acquired), Hired.com (Series C). Also, many of our clients are on the IAB 250 list, like JackThreads, Mack Weldon, Hint Water and Nature Box. MoJo Active exists to help our clients find more customers. Integrate & Conquer is more than our tagline – it’s our business philosophy. We staff experts in the complete range of integrated marketing services to capture fleeting attention spans across multiple touch points on various screens. And we do not reward activity. We focus on results. We don’t stand up and declare victory until we can demonstrate that we achieved our client’s business objectives. Our ecommerce experience dates back to the mid-90s. So, when others were serving up “brochureware” we were guiding our clients on how to do business online. That’s why national brands like Shop-Vac, Woolrich, and Alert1, as well as scores of B2B and regional clients, lean on MoJo Active to lead the strategy and execution of their digital marketing efforts. Northcutt authors SEO success stories for cloud and e-commerce brands. Their passion is to help these humans earn success in national and international arenas. This boutique, Chicago-based agency specializes in enterprise SEO. After launching your BigCommerce store, they’ll set, measure, and meet goals for your SEO, content, and media/link relationships. Northern is a full-service eCommerce agency and Canada’s only Elite BigCommerce Partner. We help companies thrive in the digital economy by optimizing their eCommerce ecosystem while leveraging high-performance marketing campaigns. Northern is a top Google Premier Partner and Facebook Pro Partner with advertising campaigns producing up to 20x returns. Due to high performance, our work has been featured on Facebook, Search Engine Land, and the Google Premier Partner Awards. The Plum Tree Group is a full digital agency based out of Chicago, with additional offices in India and Costa Rica. Our focus is in growing eCommerce businesses through website design, development, marketing and maintenance. We work with a wide spectrum of industry verticals and with companies as large as Cargill (more revenue than AT&T) and as small as emerging mom & pops. We pride ourselves in being among the leaders in Bigcommerce development, with particular expertise in B2B solutions, product personalization (real-time visualization), systems integration (ERP, OMS, POS, CRM, etc.) and data migration (including order history). We have implemented numerous unique customizations, including solutions when Bigcommerce has reached out to us for support with difficult customer requirements. Because of our full suite of tailored marketing services and proactive maintenance support, most of our clients remain with us for the long haul. Shero is a full service, value-based agency specializing in B2B and B2C eCommerce solutions. The founders, Beth and Gentian, started the company out of their basement in Poughkeepsie NY in 2010. Since then Shero has grown to become an industry leading eCommerce agency that caters to customers from all over the world. Some of our past and present customers include the New York Times and the Guggenheim Museum. In 2015, Shero opened an office in Albania and in 2017 we opened an office in United Kingdom. At Shero, we only engage with customers where the value we create is greater than the price the customer pays. Our products and services speak for themselves, but it is our people that truly make our business stand out in the eCommerce industry. Silk Software is an award-winning digital commerce agency. We have been honored as BigCommerce’s inaugural Partner of the Year and have received many accolades and partnership awards in the Magento ecosystem as well. Our team specializes in UX/UI design, custom development solutions, custom app development, and systems integration. Examples of clients we work with include: Harvard Business Publishing, IKEA, Samsung, Disney, and BenQ among many others. Passionate about helping our global clients succeed and grow both domestically and overseas, we’ve built trusted relationships and a strong portfolio of work cultivated from over a decade of experience across all industries. Our US headquarters is located in Irvine, CA and we have additional offices in New York, NY, Shanghai, China, and Chengdu, China. Springbox focuses on help mid-market companies become the digital leaders in their categories. We accomplish this through three major practice areas. Digital Strategy – helping craft a roadmap for digital leadership. Digital Experiences – bringing UX, design and development expertise to build websites and digital products. Demand Generation – using content, performance media and innovative adtech and martech to drive traffic and grow your business. We’ve are consistently named the top digital agency in Austin and the top rated digital agency in Texas. While the majority of our clients are in the Southwest, we have clients across the country. We’ve worked with big brands like Dell, Whole Foods and Nestle, but we are uniquely suited to partner with mid-market companies who value our strategic acumen and executional excellence. Trellis is a forward thinking digital agency and information technology company that focuses on building scalable and effective websites for our clients complemented by robust result driven digital marketing campaigns. Our tactical approach to improving your website and web presence focuses on four major targets: Strategy, design, technology, and post-launch maintenance & growth. A full-service eCommerce solution provider that specializes in implementing the world’s leading ecommerce platforms to engage today’s consumer. Unlike many development firms, our work does not cease there. In order to achieve maximum ROI it is essential to invest properly in the continual expansion of your online reach while constantly monitoring and improving your website to keep your conversion rates high and revenue growth consistent. Having the unique experience of scaling startups such as Pax Vapor, August Home, and Eight Sleep alongside established large companies such as Franklin Sports, Partner’s Healthcare, and Stanley Black & Decker give us a unique skillset that allow our clients big and small to benefit from the scrappy mentality of startups combined with the knowledge of how to navigate the corporate landscape associated with large clients. This has built a strong reputation for Trellis who are largely considered the leading cross discipline ecommerce agency in New England and ranked as such by publications such as Clutch whom rate Trellis as the #1 provider. The ZaneRay Group designs and creates innovative enterprise e-commerce solutions that engage customers in new and unique ways. While we adhere to standardized best practices principles, we are constantly inventing new ways and pushing the boundaries on how to design experiences that are both inspirational and operational. We take a holistic approach to our designs, considering the multi-faceted experiences of a site – from straight-forward product discovery and purchase, to long-term customer retention through rich branded content and social engagement. We design interactive experiences for all channels with clear attention to responsive design, compatibility and user experience. Operating since 2000, ZaneRay has been fortunate enough to produce some ‘Top Shelf’ sites, including Patagonia, Lands’ End, Filson, Outdoor Research, Skullcandy, Natural Gear, Zwift, Osprey Packs and Competitive Cyclist – to name a few. We value long term relationships and partnerships – some of our clients have been with us for more than a decade. We have an incredible depth of experience in internet development, design, and marketing, and most of our staff have 10 – 25 years of experience in this industry. For businesses looking to gain the upper hand and bolster their revenue, one of your first steps is to turn to marketing techniques. Ecommerce marketing agencies are a one-stop-shop for cutting-edge technology, techniques, and projects that have the ability to really help your business grow. Finding and down-selecting a marketing agency to aid in your ecommerce growth is a viable option for businesses who are looking to outsource some of their work to brilliant minds. There are pros and cons of working with agencies versus hiring in house, so care must be taken to ensure that you’re making the right decision at the right time for your business. Start with research, ask lots of questions, and don’t be afraid to spend some decent time looking for an agency before you find the perfect one. Corinne is a writer and researcher at BigCommerce, where she works directly with agency and technology partners to bring their tools, services and ideas to the commerce industry at large. Before BigCommerce, she was an education specialist at Skills Fund, where she built resources and ran trainings to give students access to life-changing skills. Corinne holds degrees in graphic design and psychology. After college, she transitioned into the marketing and research space through a self-taught mindset – and works to bring the value of that skill and mindset to others. When she’s not writing, she’s volunteering with nonprofit organizations, traveling the world, or digging into a new book. Partner with the right agency to help your business grow.